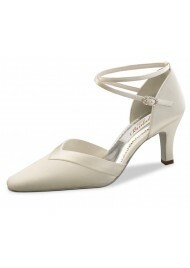 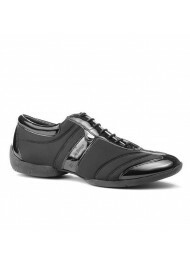 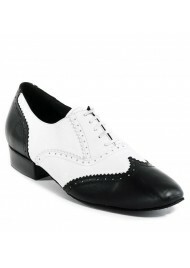 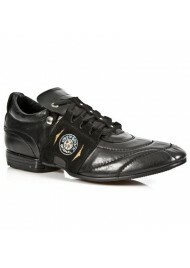 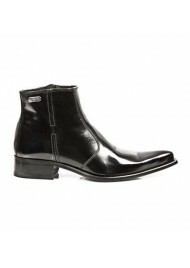 Shoesmade 4 me offers you a large choice of elegant ankle boots for men, entirely made of high-quality leather. 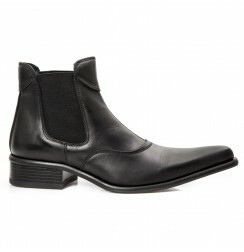 See our trendy ankle boots for men, they are characterized by their elegant cut, their trendy materials, comfort and resistance. 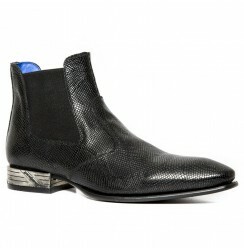 Three great collections of ankle boots for men by shoesmade 4 me are presented : The steel boot collection with metal heels; for example, our elegant pointed ankle boots such as the Black leather ankle boots for men with steel heel, our modern ankle boot with a pointed tip, we also offer in this collection snake ankle boots for men such as the Black snake ankle boot for men with a steel heel. 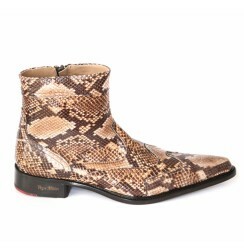 In our very original Rock collection for men, you will find our beautiful rock leather ankle boots, with bridles, made of snakeskin or a studded design, an eccentric boot, totally ideal for an elegant rocky look. 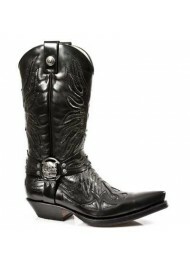 Have a look at the Black leather cowboy ankle boots for men with steel heels, as well as the Black leather rock studded cowboy ankle boots for men with steel heels. 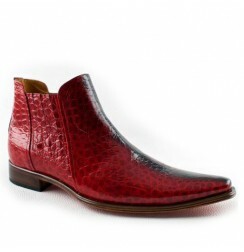 The third collection of ankle boots for men is an elegant collection, ankle boots with pointed tip made of glazed leather such as the .Gentlemen’s leather ankle boots on ShoesMade4Me. 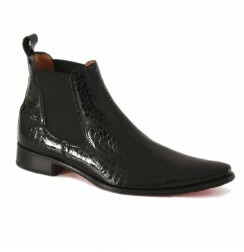 For those men who are seeking a unique, original and stylish boot, here on ShoesMade4Me we offer a variety of modern boots to wear. 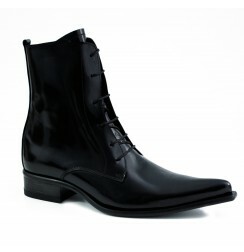 If you wish for a more classic boot, then see our Gentlemen’s black leather ankle boot for men with elasticated bellows, a classical boot ideal for suits or jeans, completely elegant and modern! 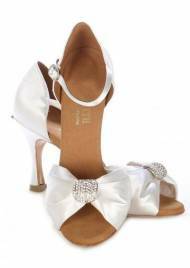 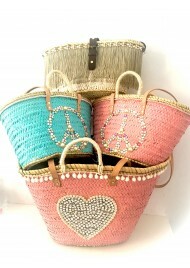 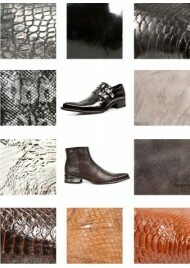 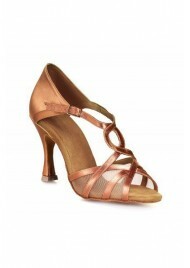 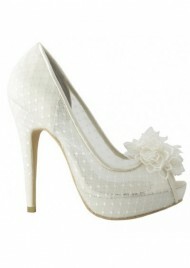 Our luxury collection includes leather snake or crocodile skin ankle boots. 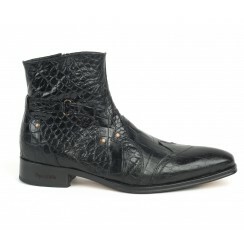 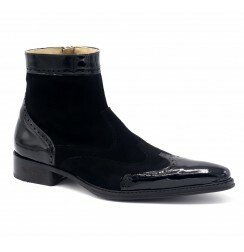 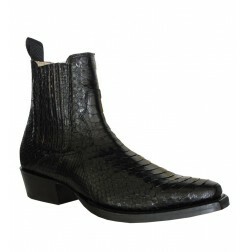 Take a look at our Black patent Leather Crocodile skin ankle boots for Men, such a luxurious boot. 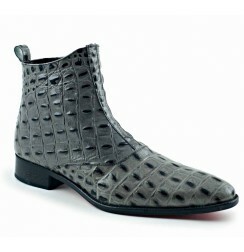 Grey coco leather ankle boots for men with pointed tip. 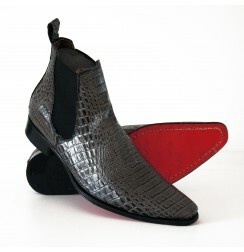 Wonderful handcrafted men's booties made of grey crocodile leather, with interior zip and red stitched leather soles, for original men's shoes. 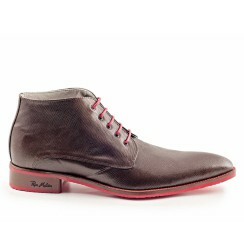 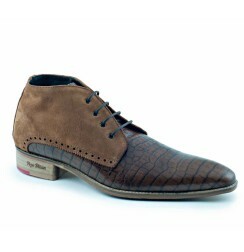 Chukka man brown leather trendy ankle boots. 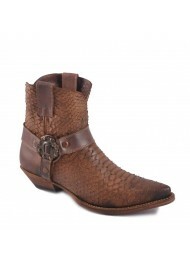 Beautiful brown snake leather style boots specially handcraft in Spain, these brown originals ankle boots are adorned with red laces and non-slip soles. 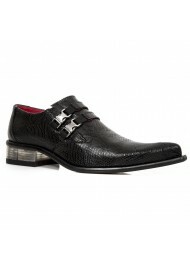 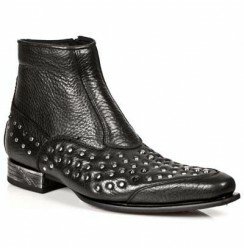 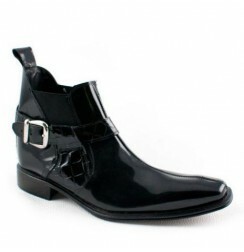 Trendy Pointed toe leather black boots for men. 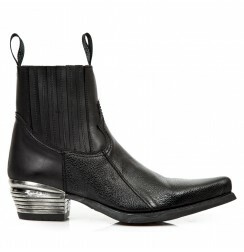 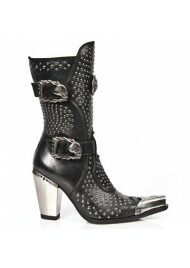 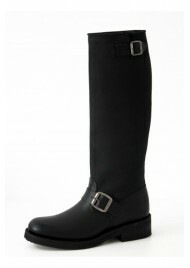 Amazing fashion man ankle boots in black leather and foal with inner zip and pointed toe. 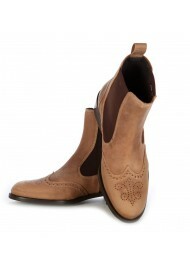 Sewn leather soles, high quality handcrafted manufacture. 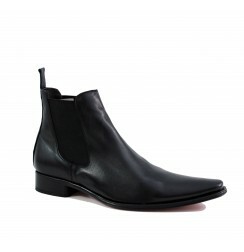 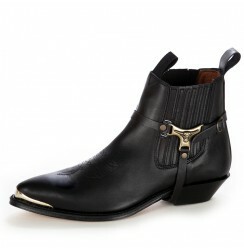 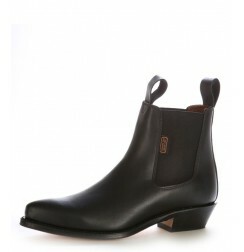 Black leather ankle boots for men. 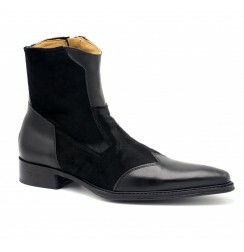 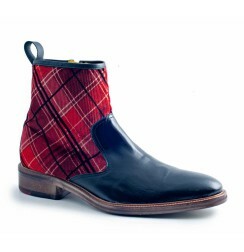 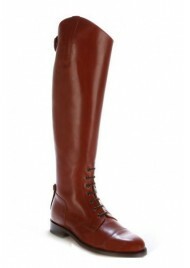 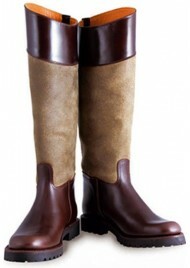 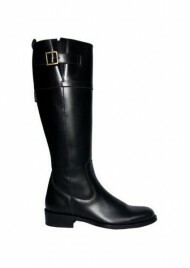 Stylish boots by ShoesMade4Me, your specialists in luxurious leather boots for men. 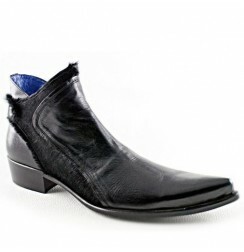 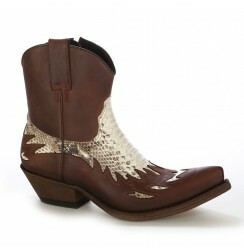 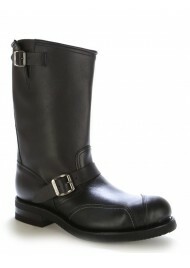 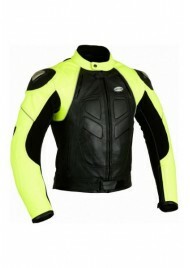 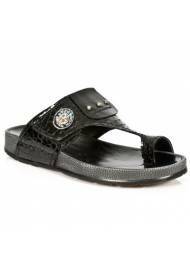 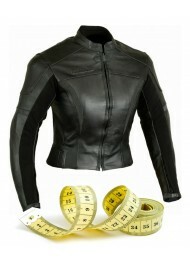 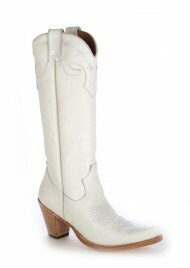 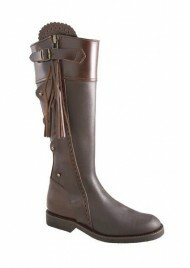 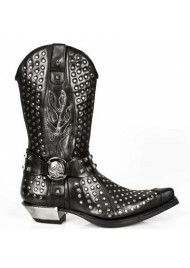 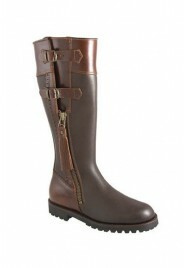 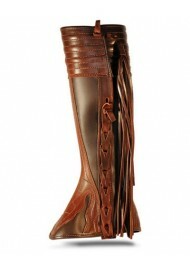 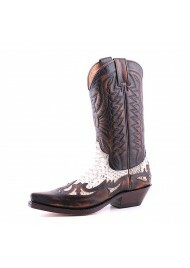 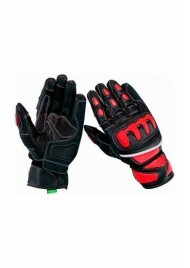 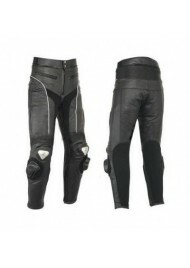 Trendy high quality boots for men with many different styles and designs.